Background: Intraoperative echocardiography becomes a necessary tool for planning and performing safe cardiac surgery. 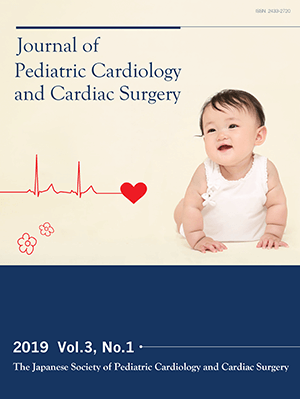 In addition, real-time 3D echocardiography (RT3DE) has been demonstrated to be clinically useful in the assessment of several congenital heart diseases (CHD). However, few data exist about the usefulness of RT3DE in the operating room. Objectives: We sought to evaluate the feasibility and additional value of intraoperative epicardial RT3DE in the assessment of the anatomic details of CHD. Methods: Thirty patients with CHD were examined with epicardial RT3D, as well as 2-dimensional echocardiography (2DE). With a focus on the specific structures of interest, the diagnostic results by RT3DE were compared with surgical findings and interpretation of corresponding 2DE studies. The 3DE were graded into thee category: A. additional findings not seen on 2DE or changed diagnosis, B. equivalent to 2DE or C. inferior to 2DE. Results: Optimal 3D images were obtained in 26 cases (87%). The 3DE was graded A in 22 (85%), B in 4 and C in no cases. RT3DE was especially useful in assessment of geometry of septal defects, morphology of the atrio-ventricular valve, and the spatial relationship between neighboring structures in the double-outlet right ventricle. Conclusions: Epicardial RT3DE improves morphologic definition of specific lesions and provides additional information. The 3D images are helpful in providing a realistic preview of the surgical anatomy and a useful guide in surgical planning.